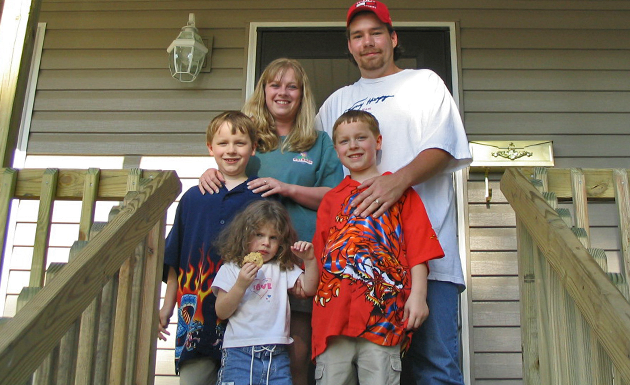 Habitat For Humanity of Kanawha and Putnam | We're building homes and our community. Every day. Together. We're building homes and our community. Every day. Together. Behind every Habitat for Humanity home built is a volunteer. Behind every volunteer is a much appreciated financial donation. Every dollar you donate will make a difference. Purchase one gallon of paint for a child's bedroom. Buy a front door so a family may welcome guests. Provide a kitchen sink for a family's new home. Give energy efficient light fixtures for a home. Help landscape a yard in which a child may play. Provide energy efficient windows for a home. Shingles - provide a roof over a family's head..
Habitat For Humanity of Kanawha and Putnam has partnered with Network for Good to securely process your online credit card payment via Network for Good (tax ID 68-0480736). This transaction will appear on your credit card statement as "Network for Good." This transaction is subject to Network for Good’s Privacy, Security & Disclosure Statement and the Charitable Solicitation Disclosure.